For babies or toddlers with eczema, it seems like a constant uphill battle against the notorious “itch that rashes.” If you’re like me, you’ve tried every cream in the lotion aisle at CVS. The $10 bottle seems to work just as well as the $4 bottle. Which is not at all. Ahem… I digress. The long and short of it is that if you want to get rid of eczema for your baby or toddler, you’ve got to look beyond the lotion aisle. We tried every brand you can think of, Eucerin, Aveno, Cetaphil, you name it. They just seemed to scratch the surface of his skin issues. 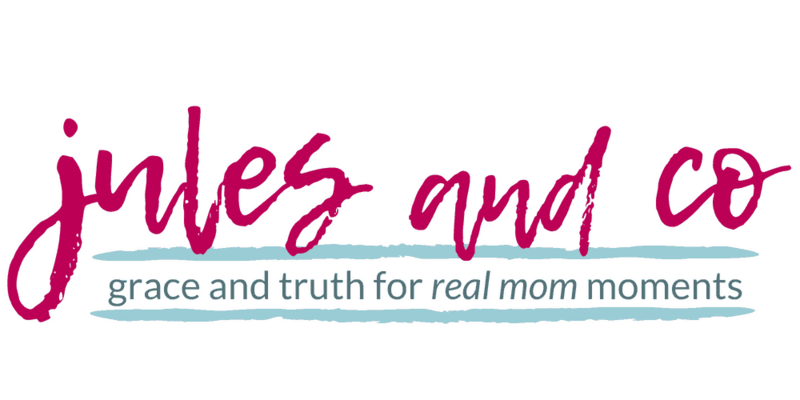 With my son, we would go through a week or two of great skin days, only to be blindsided once again by those red, inflamed patches on his legs. Are you spending tons of cash on expensive creams and emollients? 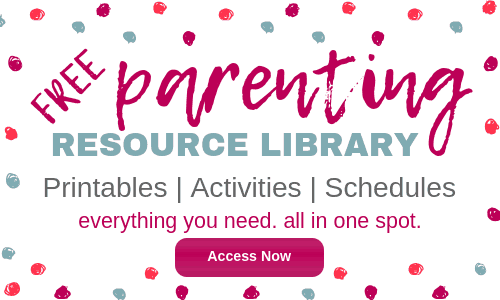 Getting frustrated asking your pediatrician for advice? Only to get the answer, “Just make sure to keep him moisturized and apply a topical steriod.” Many eczema remedies for kids are often harsh steroids or creams. Unfortunately, none of these products actually fix the cause of eczema! They just temporarily treat the symptom. 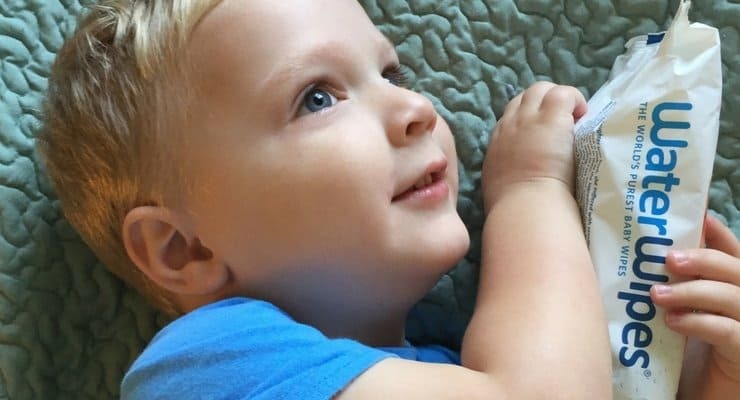 The worst of my son’s eczema flared up when he started crawling. As the tops of his feet rubbed against the floor, these huge red patches would appear. It was heartbreaking! As mamas, we want to take the pain away, kiss the boo boo, and make it disappear. But what do we do when nothing works? But one day I stumbled upon the perfect formula to cure my little guy’s eczema symptoms. It’s not simple, but it’s natural and it works. Disclaimer: I’m not a doctor, the advice below is simply what I’ve used to tackle my own child’s eczema. Please consult your own physician before beginning an eczema treatment plan. 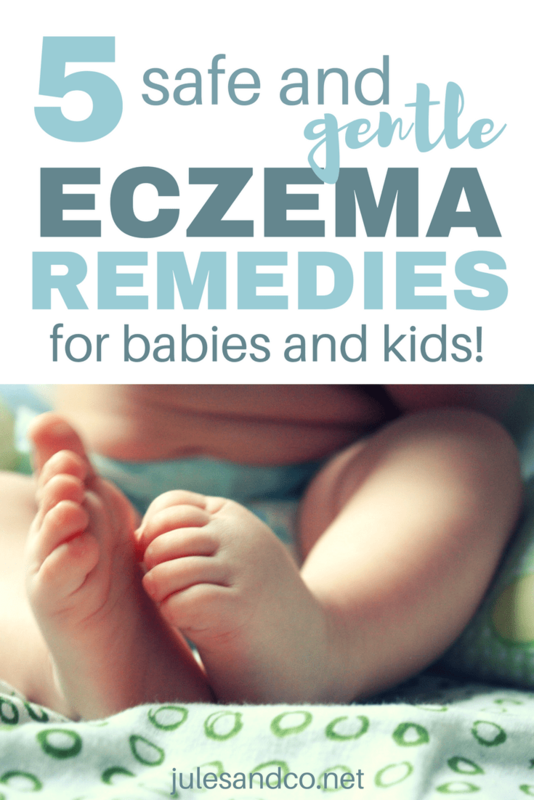 I know you’re ready to give your baby or toddler some relief from their eczema, so I want to share what works for us. 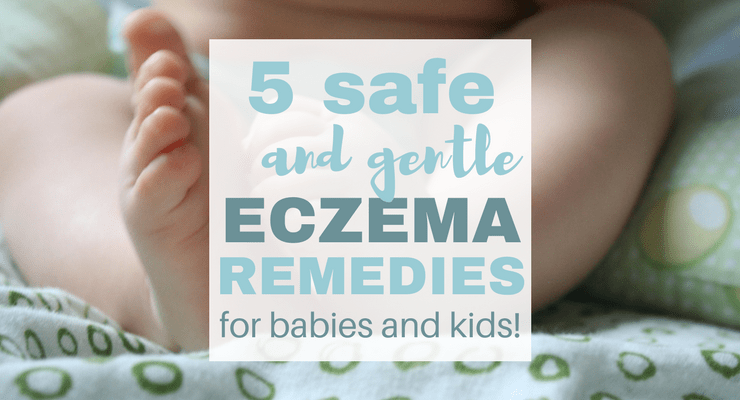 Read below to see my mama-tested eczema remedies for kids and babies! Disclaimer: This post contains affiliate links. I only recommend products I actually use and love! I think it’s so important to cover our kids in prayer. I know in the big scheme of things, eczema doesn’t seem that consequential. But I also know that God cares, God hears, and God answers. Pray for complete healing in your child’s body! It never fails. Ever have one of those days where your kid doesn’t eat anything green? We certainly do from time to time. Whether it’s just because I’m rushed for time and we have PB&J for lunch, or if little man isn’t feeling his broccoli today, it happens. Whenever those days occur, the next day is always a bad eczema day. I can count on it like clockwork. It’s also a great idea to include fermented foods in your child’s diet. Yogurt and sourdough bread are a great place to start if you’re unfamiliar with fermentation. I love this list of fermented foods your kids will love from Homemade Mommy. 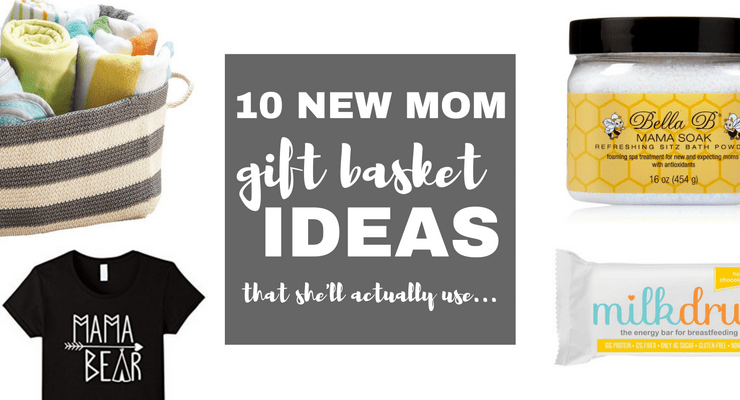 There are some seriously yummy ideas in there! This is one of the easiest parts of our “No More Eczema” formula. Just pick up a probiotic for kids at your local pharmacy or supermarket. My toddler loves the grape-flavored probiotics I give him every morning. They build up his immune system so his skin (the largest organ, as we all know) has the power to fight back. 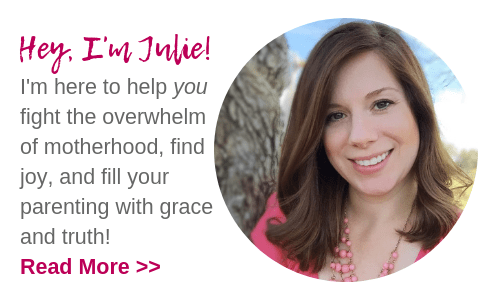 You’ve got to get rid of eczema starting from the inside, out! For the longest time we used baby-formulated shampoos and soaps on my little guy at bath time. These products were dripping in fragrance and other irritating chemicals. They left my child’s skin dry and itchy. 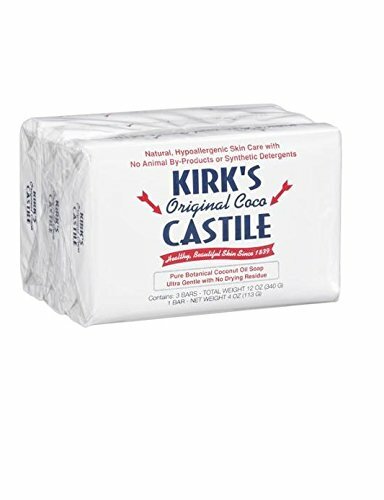 A while ago I decided (on a whim) to try some Kirk’s Original Coco Castile Soap I had stashed in the pantry. In fact, this was the last piece of the puzzle I finally stumbled upon. I could tell instantly after the bath that his skin was less dry and seemed more supple. Just like a toddler’s skin should feel! Those rough patches were gone. The itching and inflammation disappeared! Just be very careful to keep this soap out of the eyes, as this is not a no tears formula. All I use is a washcloth and my bar of castile soap. I carefully wash around the eyes and rinse with clear water. Kirk’s also has a line of liquid castile soap. I keep this by the sink for hand-washing. And, I even wash my own face with it! Castile soap makes your complexion look and feel amazing, and I love that I only have to buy one soap product for the whole family to use! Oh, for the love of coconut oil. If my husband had a dime for every time I’ve told him “Just put coconut oil on it.”… well you know. Coconut oil is the bees-knees, folks. I’ve been using it on my son since he was born, but my anti-eczema formula of epicness didn’t all come together until I started using the castile soap as mentioned above. You can buy this at your local grocery store, or on Amazon here. I’ve used lots of different brands, just make sure it’s extra virgin and organic. Here’s how I apply it for maximum moisturizing power: After you rise your child off with clean water, leave them in the tub to air dry just a bit. For us it’s not a problem since we live in Florida and it’s only cold *literally* three days per year. Grab a big glob of oil (coconut oil will be solid at room temperature, but will start to melt when you touch it) and just massage it all over damp or wet skin. It works so much better if the skin has water on it, so don’t grab that towel just yet! Once you massage it all in, then grab your towel and gently pat dry. I do this all in the tub because I don’t want oil stains on my rug or changing table. That’s it! So, I finally nailed down my “No More Eczema” formula! We still have little flare ups when my little dude is sick with a cold or something and his immune system is significantly lowered. But besides that we are eczema free! 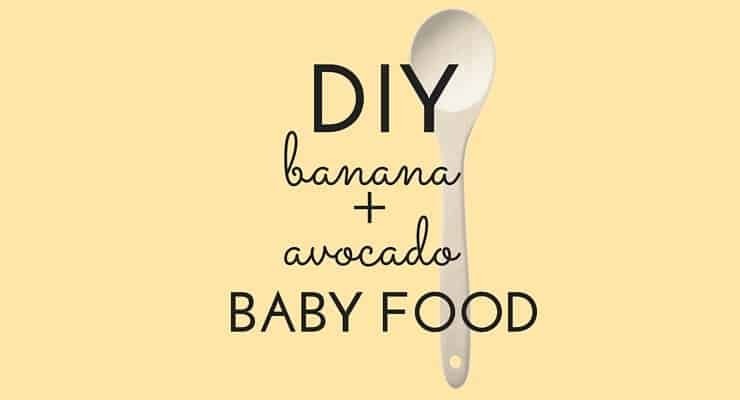 Who knew it would be so easy, natural, and inexpensive too? All the steps mentioned above can definitely be maintained on a frugal budget. You can find these products online, or at your local grocery store. No scary steroids, no lotions that only address the surface of the issue. Just a holistic approach to get rid of eczema. Side note: I know tons of mamas swear by essential oils and other eczema remedies for kids and babies. I’d love to try this one day, but I just haven’t gotten there yet. For now I’m loving the results of my simple eczema treatment plan! 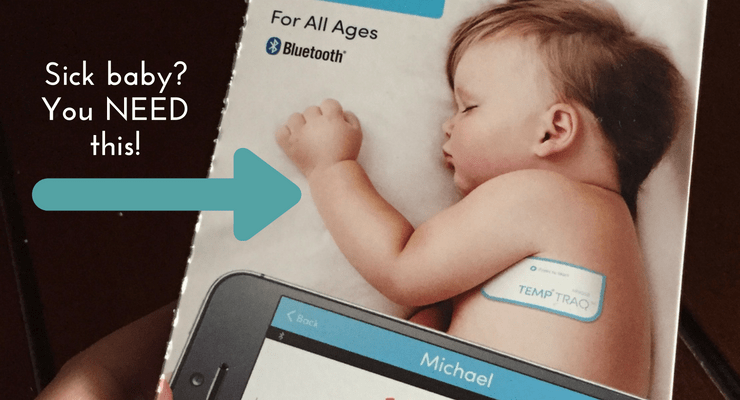 What are your favorite baby or toddler-friendly products to get rid of eczema? Tell us all about it below! Previous10 Christmas Bible Verses (Printable Cards) with Conversation Starters for Kids! So why kirks soap? why the bar? would liquid soap be the same thing? and are there other soaps with similar ingredients that you could recommend just like kirks? Hi Bethany thanks for your questions! I use Kirks because I wanted to start with one of the soaps with the most simple ingredients. There are a lot of great options out there for other mild soap For example, I have a foaming pump dispenser at my bathroom sink. I fill this with a bit of dr. Bronner’s liquid soap and add water. We use this to wash hands in for a quick face cleaner. It works great with my son’s skin as well. Hi Julie, I am a new grandmother to my 6 week old Grandbaby. This little ones parents have just been told that this one has eczema. I am wondering if the Probiotic actionTM would be safe on this little one and if the soap would be alright as well for one this young. I do not want to cause any more difficulty – I would like to help naturally if possible. Hi Julie! Great questions. As far as the probiotic goes, I would definitely ask a pediatrician before giving that to a young baby. We follow the age restrictions for the probiotics we use. I’m not a doctor and wouldn’t feel comfortable giving you the ok for that probiotic. The soap however is great for babies too! Kirk’s Castille soap is much more gentle than most “baby” soaps you can buy. Just take extra care around the baby’s eyes since it is not “tear free” like most baby shampoos. Just wash with the soap and gently rub on coconut oil while the skin is still damp. I would also mention that breastfeeding helped us ward off eczema quite a bit when my son was a baby, too! If it’s at all feasible, I would really recommend nursing as long as possible! Do you use lotion after bath/coconut oil? Do you recommend a certain detergent? Hi Kathleen! We don’t use any lotion after the bath and coconut oil. The trick is to apply the coconut oil while the skin is still wet. This locks in all that moisture and lotion just isn’t needed. If you need additional moisture throughout the day I use Eucerin occasionally during the winter. But usually consistent coconut oil after baths works all day long! Haha yes, and now we use dryer balls but the natural sheets down bother our son. But I do know that bounce is so toxic and can definitely harm them. Our biggest problem is we have to wash everything that comes from the store at least twice before he can wear them! 😛 and coconut oil neve helped by I didn’t do it right after baths so I can try that. Also I love eurcerin! It’s so dry in the winter! Hello Julie I have a 6 month old baby she has been suffering from eczema since she was a month old and haven’t had any luck with anything we have tried and I think I might give the probiotic a try and wanted to know if there is a specific one that you recommend? It looks like this article was written a while back but how is your son doing now? Hi Julie! Thanks for all the tips can’t wait to try …I have a 5 month old who’s showing signs of eczema and I was wondering what shampoos and conditioners you use? Hi Tiffany, great question. We’ve tried all sorts of things, but what I’ve settled on is just using a tiny dot of Kirk’s liquid castile soap OR a little baby Dove shampoo. I’ve found that Dove doesn’t irritate my kids skin, but I can’t guarantee that it would work for everyone. Honestly though for a five month old you won’t be using much shampoo, stick with just a water bath whenever possible!